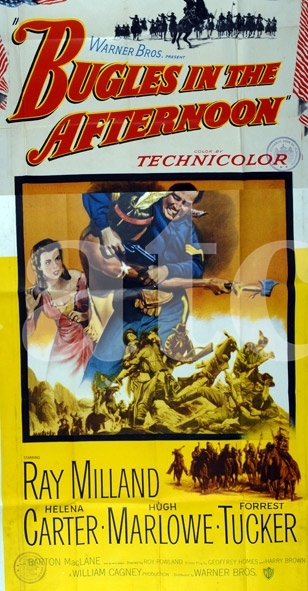 Bugles in the Afternoon was a 1952 Western film starring Ray Milland, Helena Carter, Hugh Marlowe and Forrest Tucker. It was based on the novel of the same name by Ernest Haycox. The movie also features the Battle of the Little Big Horn. 26 Men was a syndicated American western television series that centered on the Arizona Rangers, an elite group commissioned in 1901 by the legislature of the Arizona territory that contained 26 men. The series was about the Arizona Rangers’ attempts to maintain order. 26 Men starred Tristram Coffin as Captain Thomas H. Rynning and Kelo Henderson as Ranger Clint Travis. 26 Men ran for two seasons and a total of 78 episodes. In 2011, Timeless Media Group released a 3-disc best-of-set featuring 20 episodes in Region 1 only. Clinton Charles Augustus Ritchie was born near Grafton, North Dakota and is best known as Clinton “Clint” Buchanon, husband of Victoria “Viki” Lord on the ABc soap opera One Life to Live, a role he originated in 1979. He stayed on the soap full-time until 1998. He reprised his role in 1999, 2003 and 2004. On May 10, 1993, Ritchie was critically injured on his California ranch when his John Deere tractor upended, knocking to the ground and rolled over him, the actor was able to hear his own ribs cracking. He survived and was able to return to OLTL set. Erika Slezak, who played Viki, fought to not have his role recast by another actor. The show’s producers complied and Clint was written off having his recovering him from a airplane crash while Ritchie recuperated. Ritchie retired from acting in December 1998 because the show had changed his character too much for his liking during a 1992 Viki-Clint-Sloan love triangle storyline. His retirement forced Clint to be recast though the actor did return for short stints. Ritchie retired to his ranch. In late January 2009, Ricthie has surgery to implant a pacemaker. Though successful, a blood clot traveled to his brain, causing a major stroke. He died a few days later, on January 31 at age 70. Fellow OLTL Phil Carey, who played Clint’s father Asa Buchanon, died six days after Ritchie, of lung cancer at the age of 83. Ritchie never married nor had any children. In late 19th century Arizona, an Apache-raised white man, John Russell (Newman) faces prejudice in the white world after he returns for his inheritance (a gold watch and a boarding house) after his father’s death. Produced for just under $6 million, Hombre brought in $12 million. Gunsmoke started on American radio in 1952. It was created by Norman MacDonnell (who became the TV show’s director) and John Meston, who wrote the TV series. It ended its run on the radio in 1961. The TV series that aired on CBS ran for 20 seasons, from September 10, 1955 to March 31, 1975. 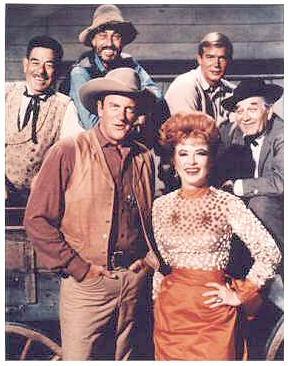 Gunsmoke is the United States’ longest-running primetime live-action drama series with 635 episodes. Gunsmoke was set in and around Dodge City, Kansas during the settlement of the American West. 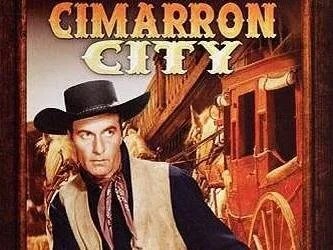 The central character was Marshal Matt Dillon, played by William Conrad on the radio and James Arness on TV. Milburn Stone played Galen “Doc” Adams, M.D. and Amanda Blake played Kathleen “Miss Kitty” Russell. Dennis Weaver played Chester B. Goode and Ken Curtis starred as Festus Haggen. So far, the first 11 seasons have been released on DVD. If you head to Dodge City, the Boot Hill Museum has a tribute to Gunsmoke, featuring signed photos of the actors and show memorabilia. (Ghost) Riders in the Sky: A Cowboy Legend has had numerous titles over the years, sometimes as Riders in the Sky, Ghost Riders, Ghost Riders in the Sky or A Cowboy Legend. The song was written in 1948 by American songwriter Stan Jones. Riders in the Sky is a country/western song that tells the folk tale of a cowboy who has a vision of red-eyes, steel-hooved cattle thundering across the sky, chased by the damned spirits of cowboys. Its most successful outing was in 1949 by Vaughn Monroe and The Moon Men. Monroe’s version hit #1 and spent 22 weeks on Billboard’s chart. It was also the top song of 1949. Riders in the Sky has been covered by Burl Ives, Bing Crosby, Peggy Lee, Scatman Crothers, Spike Jones, Tom Jones, Elvis Presley, Johnny Cash and even appeared on Sesame Street — in an altered version.